In 2011-12 The Australian Government generously supported the production of dedicated catalogues to each element of The Nolan Collection. With insightful text by recognised Nolan experts and illustrations of the entire Collection these four catalogues provide an opportunity to take an in-depth look at the contribution of this unique artist and his work. Click and pick your way through the Collection in a whole new way with this new interface from the University of Canberra’s Centre for Creative and Cultural Research. Which came first, the painting or the story? 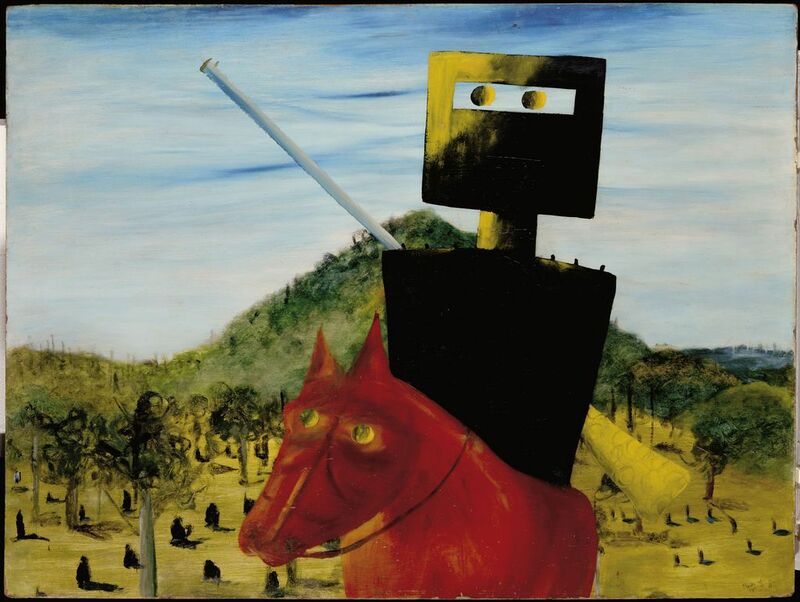 Ned Kelly and his friends are back in Canberra! Join Michael Honey (Icelab) & Mithchell Whitelaw (University of Canberra Centre for Creative and Culturl Research) as they discuss the process of putting The Nolan Collection online. Join Dr Sophie McIntyre, curator and art writer, as she discusses the Remembrances of my youth series and her research into the wider Nolan Collection,for the Nolan digitisation project. 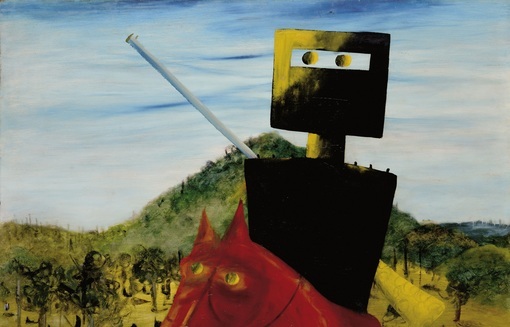 Be inspired by the strong graphic quality found in Sidney Nolan’s paintings then learn about screen printing in the CMAG Studio. The simple technique of torn and cut paper stencils will be demonstrated. Participants will design their own compositions and print a small edition. Are you an art teacher who is too busy to make your own art? Would you like to work at a relaxed pace in a creative space? SCHOOL HOLIDAY WORKSHOP: Sew what? Inspired by Sidney Nolan’s paintings and the whimsical work of his friend, artist Mirka Mora, children will design, create and embellish their very own soft sculpture in the CMAG Studio. $20 (ACT M&G Members $15), payment by Mon 18 April at Eventbrite: cmagholidayprogram.eventbrite.com.au. Please bring your own snacks, lunch and a drink.